Ticket to a USAC homecoming football game. Year unknown. 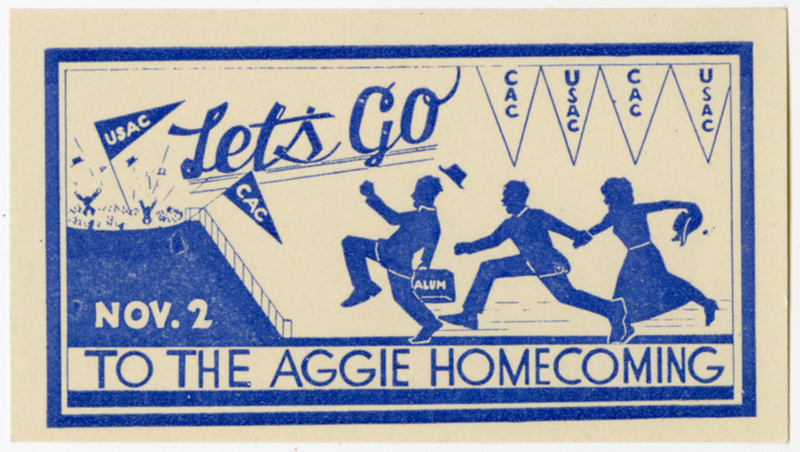 USAC Football, “Homecoming football game ticket,” USU Digital Exhibits, accessed April 24, 2019, http://exhibits.usu.edu/items/show/18319.